Principal Cast : Daniel Radcliffe, Emma Watson, Rupert Grint, Alan Rickman, Richard Harris, Kenneth Branagh, John Cleese, Robbie Coltrane, Warwick Davis, Richard Griffiths, Jason Isaacs, Fiona Shaw, Maggie Smith, Julie Walters. Synopsis: Harry, Ron and Hermione become entangled in the whereabouts of the diary of Tom Riddle, which leads them to the mysterious and mythical Chamber of Secrets, where they learn that Voldemort’s legacy lives on beneath the halls of Hogwarts. Year Two in the story of Harry Potter and his adventures at Hogwarts School of Wizardry and Witchcraft, and one in which the mythology and expansive imagination of JK Rowling is truly brought forth by returning director Chris Columbus. The film’s arc feels less explanatory and far more able to hit the ground running, as the franchise’s set-up was completed in the previous instalment. Returning stars Radcliffe, Watson and Grint once more take center stage as the intrepid friends Harry, Hermione and Ron, this time further digging into Harry’s mysterious past as well as that of the ubiquitous Tom Riddle, a character whose legacy will have lasting impact on the characters themselves. The Chamber Of Secrets does find itself mired in similar issues to that of The Philosopher’s Stone, in that the reliance on underwhelming – but still engaging – performances by the young cast is bolstered by their superstar supporting roster (including Alan Rickman and a sublime Kenneth Branagh) and the uneven tone of awestruck fantasy and outright danger does clog up a lot of Columbus’ work directing here, but the film’s high-powered budget and exemplary production design make for an immersive, always enjoyable visual and aural treat: although it does still feel like we’re treading water here. Harry (Radcliffe), now back living with his awful Aunt and Uncle, and their idiotic child, longs to return to the place he feels most at home: the Hogwarts School of Wizardry, where he feels most at home. Outside the magical realm, he has nobody, and thanks to his squabbling family is relatively isolated. 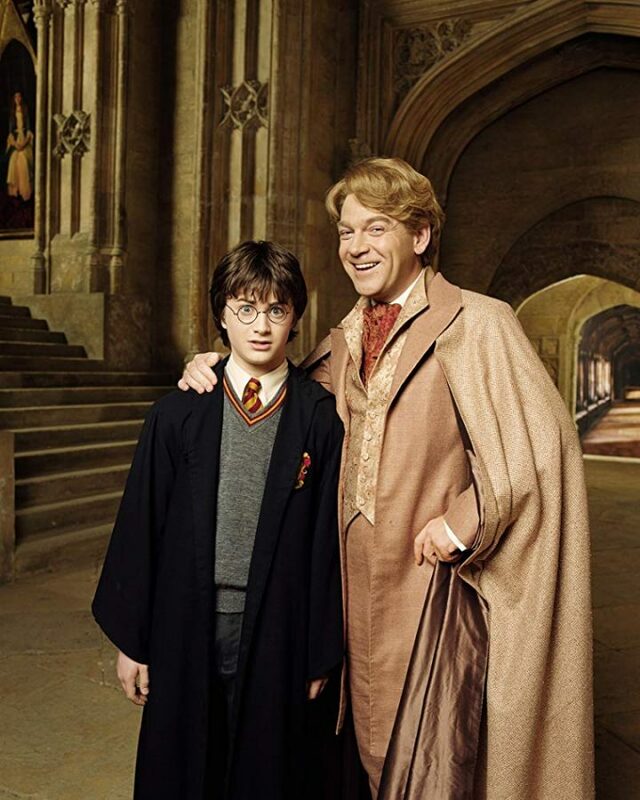 So when he’s rescued from imprisonment and goes to stay with the Weasley family, and then journey on to Hogwarts, he meets the pernicious Gilderoy Lockhart (Branagh), a talent-less magician who is more famous for what he say’s he’s done than what he actually has achieved. Back at Hogwarts, he also runs into Dobby, a mysterious House Elf who is hiding a big, big secret. 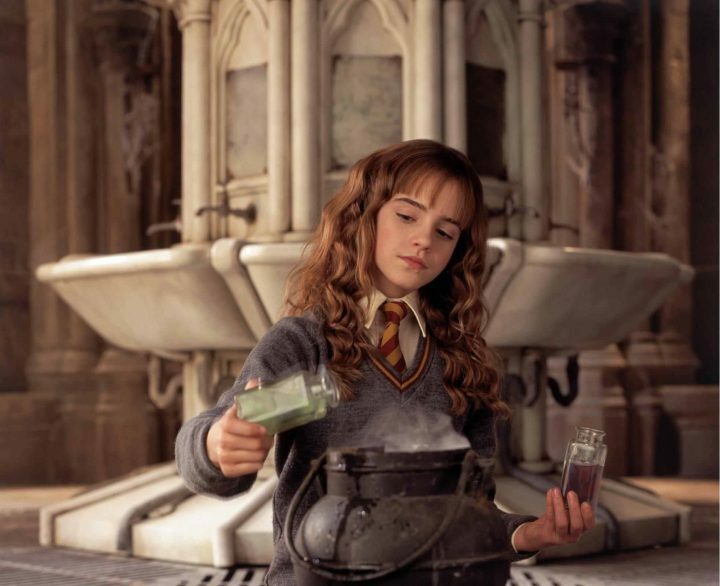 Ron (Grint) and Hermione (Watson) rejoin the action as well, each with their own problems and issues to deal with: the pre-pubescent angst involved is counter-pointed by the more traditional magical-related issues abounding within the film. 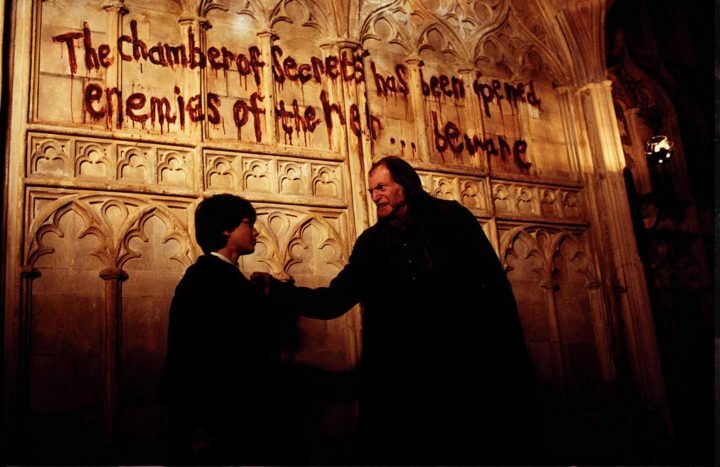 The great thing about The Chamber Of Secrets is that we’re thrust right back into Harry’s story from the get-go. There isn’t any setup or prevaricating with regards to what the viewer is watching: you are expected to understand what’s going on, and who these people all are, without a shred of recapping the previous film, and the action lurches between Harry’s Muggle-world struggles and his relief at returning to the Wizard world quite quickly. Columbus and screenwriter Steve Kloves stick pretty rigidly to key elements of JK Rowling’s original text, brevity being the soul of wit ensuring that the film’s structural integrity remains true to the characters even when fan-favourite moments from the novel are cast aside for the sake of expediency. 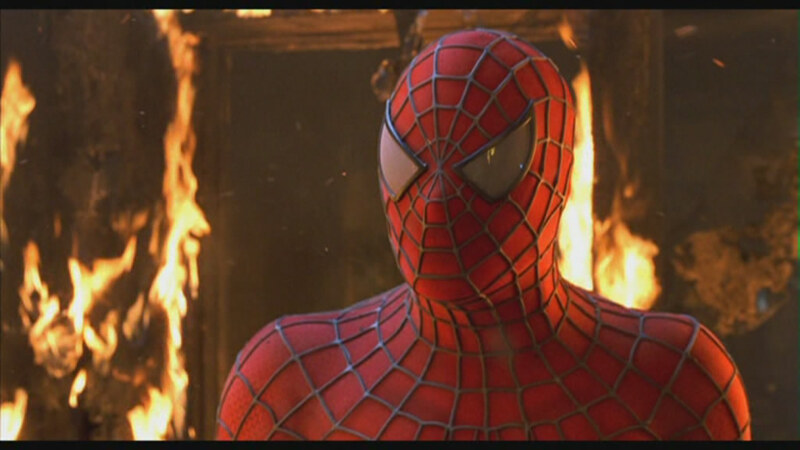 One of the really remarkable aspects to this film, and the franchise overall, is the way each director manages to not only move the story along but find time to give each character, no matter how minor, a moment to shine. In Chamber Of Secrets the supporting roster of British acting royalty (which would continue right up until the final film) is given plenty of hysterical dialogue and insane magical powers to deliver and by golly they give it their all. The film’s tongue-twisting exposition and continually mysterious subterfuge can make for confusing viewing if you’re unfamiliar with it, but fans will lap this stuff up. 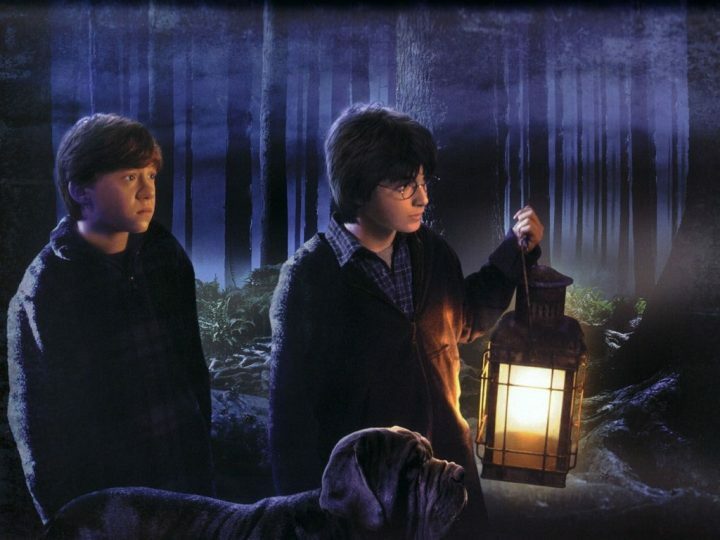 Darker than the previous film, yet still accessible by young children, this trip into Harry’s world is riddled with a confusing lack of dramatic power, a strange cobbling together of seemingly random ideas, although with payoff that’s only mildly more interesting than the one in Philosophers Stone. 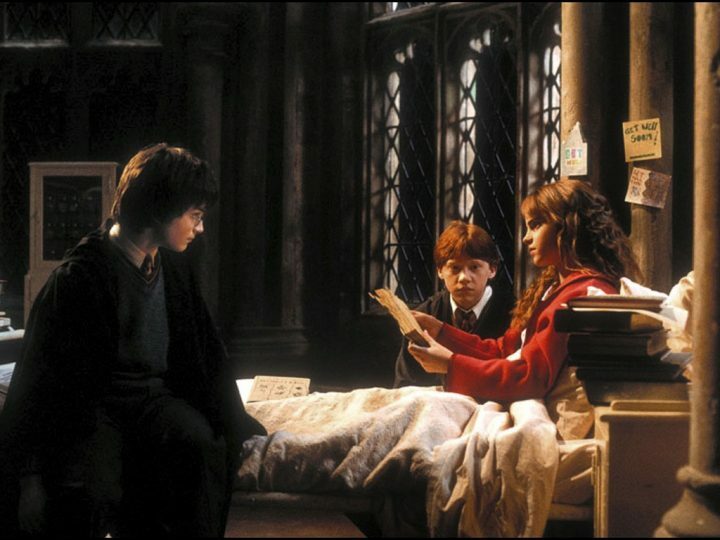 The action is still pretty tame by comparison to later episodes, and this is perhaps more to do with the fact that Harry, Ron and Hermione are still quite young and would see things in a fairly innocent, lighthearted way. A climactic moment with an enormous basilisk beneath the bowels of Howarts is a touch too scary for younger children even today, and the fate of several young characters may cause consternation for viewers of a nervous disposition, but Columbus manages to balance the innocent awe and the grim struggle of good versus evil with a delicacy lost in later films in the series. As with The Philosopher’s Stone, the second Harry Potter film is incredibly long. Young fans will struggle to make it to the near three-hour mark without fidgeting, with a preponderance of exposition taking up precious minutes that could be spent expanding far more interesting moments – Quiddich, for example, continues to be a showstopping element to the films at this point (although it would barely register in the later movies), and once more the exciting broom-borne sport makes for a nail-biting sequence indeed – and the conniptions Harry, Ron and Hermione must endure to unlock the secret of the Chamber itself feels superfluous to the real reason it even exists in the first place. Easily a good half-hour could have been chopped from this movie and it would have been a far tighter, leaner thing: as it stands, the version we have today is still entertaining but it looses a lot in rewatchability. You find yourself vagueing out during the quieter moments of the story, only returning when Columbus hits the “loud” button on the audio cues. If I have a single real criticism of Chamber Of Secrets its that it’s too long. 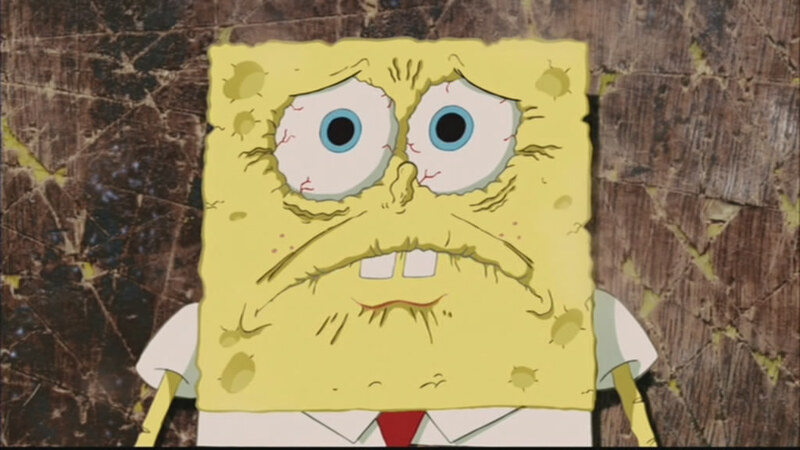 Having said that, the charm of the first film most definitely carries over into this one, and that means a lot. The characters are enjoyable, cheesy, mysterious and hiss-worthy. The set design is again spectacular, the use of visual effects holds up even now (an all-digital character, Dobby the House Elf, does have a resonance with Star Wars’ Jar Jar Binks, even if his introduction here wouldn’t pay off until much, much later) and of course there’s John Williams’ soaring, beautiful themes accompanying all this hullabaloo. The Chamber Of Secrets may not he Harry Potter’s finest film, but it’s a worthy entrant into the early instalments and a competent, admirable effort by all involved.